NOKIA 8 SIROCCO is high end flagship smartphone. Why use SIRROCO name? Because that name identical with Nokia 8800 which have elegant and high spec when the time that phone release in the market. NOKIA 8 SIROCCO have 5.5 inches LCD screen with but still use 16:9 aspect ratio, maybe this is one disadvantage for anyone who like to have new screen ratio smartphone, but some users still find use this side, not too big and not too small. Please note, we are not said that NOKIA 8 SIROCCO is totally bad, but this article will give more additional information for anyone before consider to buy this phone. This is flagship smartphone, therefore we will get all elegant and wonderful design from NOKIA 8 SIROCCO. The screen protections use Corning Gorilla Glass 5 which is design full edge screen like other flagship smartphone. For giving more vivid color, this phone use P-OLED type at 5.5 inches screen size which have maximum 1440 x 2560 pixels resolutions. There are two type of simcard slot in the market, depend on each country there are single and simcard NOKIA 8 SIROCCO. This phone is water resistance, because it already have IP67 certified. Therefore we can bring NOKIA 8 SIROCCO swim in water maximum 1.5 meter for about 30 minutes. The body design with almost full glass at front and back body, at frame side use solid stainless steel. At the right side of the body, we can find volume button and power button. We will not find any button at left side of the body. Fingerprint also available at NOKIA 8 SIROCCO, located at back side of the body bellow main camera. Advantages of NOKIA 8 SIROCCO use Qualcomm MSM8998 Snapdragon 835 processor which can run at Octa-core 64 bit, it is work with 4 x 2.5 GHz Kryo CPU for high load applications and work with 4 x 1.8 GHz Kryo for simple applications. This processor design for high end smartphone which can work with fast graphic rendering, it is use Adreno 540 GPU (graphic processor unit) for lag free 3D Games. 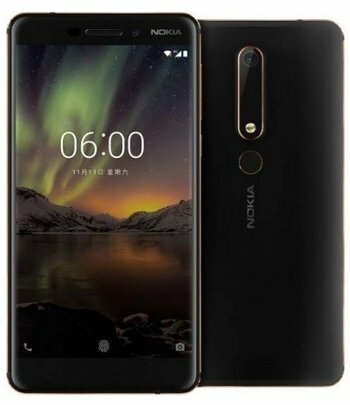 Plus point of NOKIA 8 SIROCCO also have OZO Audio complement, it is the ability to record 3D audio with 3 mics located at this phone, so we can record 3D sound for virtual reality video recording which also available at Nokia OZO camera platform. Nokia OZO Audio can capture 360 degree audio recording and playback at this device as well. Most people will agree about good camera specifications at NOKIA 8 SIROCCO, because it is use dual camera 12 megapixel with big aperture number at f/1.75 for telephoto and the second camera use 12 megapixel with aperture number at f/2.6 for wide angle photo. Having big aperture number will make our photo become more bright, because there are more light can be capture by the sensor. Therefore we still can have good or enough brightness pictures although we are taking photo at low light situations. We can not find any demerits at NOKIA 8 SIROCCO, especially because it is also use Carl Zeiss optics at main camera lens. Professional photographer will understand, by having good lens, will produce good quality, accurate and sharp pictures. This phone also have dual LED light flash, this is advantages to make skin color more realistic at photo result. Is NOKIA 8 SIROCCO Worth To Buy ? If you want to have good nostalgic smartphone from Nokia Sirroco, then NOKIA 8 SIROCCO is recommended to buy, because it is flagship high end smartphone with 5.5 inches LCD screen with fantastic rear dual camera with Carl Zeiss optic. This phone also have dual simcard slots and also have big internal memory if we choose 64 GB storage. Nokia also promise to give security update about 2 years for NOKIA 8 SIROCCO Android update. This article is talking about advantage and disadvantage of nokia 8, nokia 8 defects, nokia 8 sirocco advantage and disadvantages, NOKIA 8 SIROCCO DISADVANTAGES. You can find other topic at our related post bellow.